What is a Chamber of Commerce and how does it impact our community? There's a saying that goes, "if you've seen one chamber...you've seen one chamber." There are as many types of chambers as there are communities, each tailored to the specific needs of local businesses. Some chambers include economic development, tourism and / or retail merchant association functions. Some focus on a very small commercial neighborhood (think the Wicker Park Chamber), some focus on a specific demographic (such as the Chicago Area Gay and Lesbian Chamber of Commerce) and some represent a multi-municipality region, like ours. One thing is certain: chambers are independent entities organized by and for the members who support them. Members can come from anywhere, not just the geography implied in the name. Most of our members are located in Oak Park or River Forest, but we have members from the surrounding towns as well, especially Forest Park and across our borders. Chambers are not formally affiliated with each other. 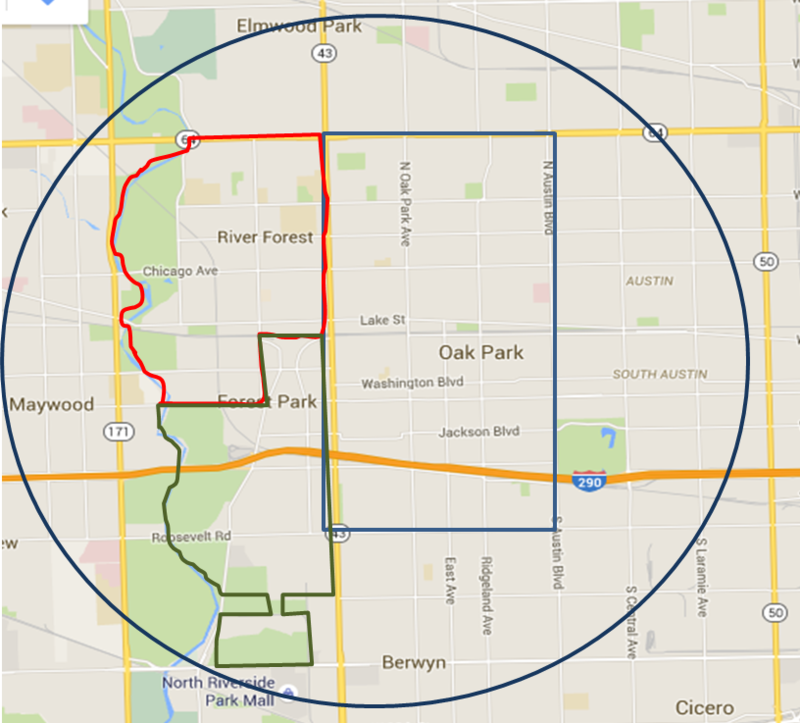 Specifically, the Oak Park River Forest Chamber is NOT affiliated in any way with the US Chamber of Commerce. We share a name, but that's about it. The American Chamber of Commerce Executives (ACCE) organization has provided an interesting read on how chambers function - what they are and what they are not. Click here to read. In Oak Park and River Forest, our Chamber focuses on "typical" chamber services for small business. The Oak Park Economic Development Corporation (OPEDC) works with Village of Oak Park Government to attract new business and investment into Oak Park. In River Forest, development services are handled directly through village staff, with advice from the volunteer Economic Development Commission. Tourism (formerly known as the "convention and visitors bureau," or CVB) is handled through Visit Oak Park, which oversees tourism marketing for twenty-one communities in the Oak Park area. Retail and ground floor store front services are provided by neighborhood merchant associations, known in Oak Park as "business districts." The largest business district in Oak Park is Downtown Oak Park, which is the central business district centered around Harlem Avenue, Marion Street and Lake Street.